Head - Corporate Social Responsibility Operations, Dewan Housing Finance Corporation Ltd.
Siddhi Lad is the AVP & Head - Corporate Social Responsibility Operations at DHFL (Dewan Housing Finance Corporation Limited), one of India’s leading housing/ mortgage finance companies. The Company has been providing housing/ mortgage finance to the low income segment for purchase of affordable homes; thus helping them realise their dreams of home ownership, for over three decades. Siddhi has been instrumental in conceptualising, designing and implementing DHFL CSR programmes, including Early Childhood Care & Education (ECCE) for children between the age group of 0 – 6 in villages in India, skill development to youth from the marginalised communities, economic empowerment through financial literacy and inclusive growth for vulnerable sections and rural development in India. The ECCE programme, alone covers 1000 Anganwadi (courtyard) centres impacting 50,000+ children and 30,000+ women & adolescent girls in the State of Maharashtra, India. This programme has featured as a ‘best practice’ in the Department of Women & Child Development, Government of Maharashtra’s mobile app. DHFL CSR programmes impact over 2 lakh people directly. 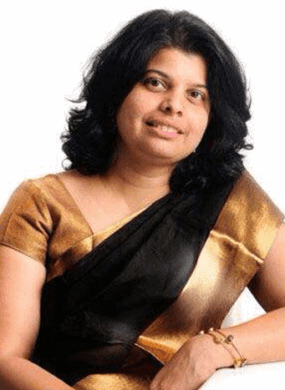 Siddhi has a vast experience, since 2000, in areas of communications, public relations and marketing with leading organisations like the British Council and Corporate Voice Weber Shandwick, India. Siddhi has been an active participant in various CSR forums and events, with major including 'Partnering for Good: the Foundation-Government Dynamics in India' organised by OECD, 'Management Development Programme on Governance in Non Government Organisations’ organised by Dr. Reddy’s Foundation, ‘The New Education Policy: An Investors’ Roundtable' organised by Centre for Civil Society, ‘Creating collaborative opportunities for rural communities on the backdrop of the Rockefeller Foundation's SPRD initiative’, to name a few. She participated in the Executive Development Programme on ‘Creating Value through CSR’ at ISB. Hyderabad in September 2016.